keep trying to work with this new and 'improved' blogging format and I am pulling what little hair i have left on my head out and throwing it on the floor!! this is such a *%&$* mess, why make a change for the worse?????? some interesting opinions and a very nice vinyl article! 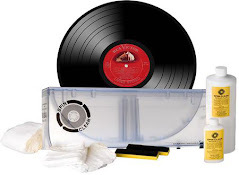 Sales of vinyl records are up in the United States and I have a theory on why some of us are going analog. Last week, the Recording Industry Association of America released the sales figures for 2011 and reported that US sales have grown for the first time since 2004. Total growth was only .2%, but the industry would have been happy with any semblance of stability, so actual growth must have been a delightful surprise. Another surprise, namely to the people who have not been paying attention for the past few years, is that sales of vinyl records have increased…again. 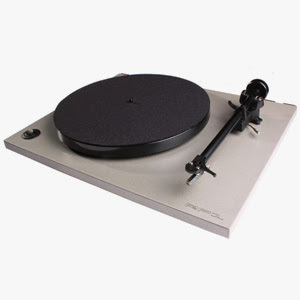 Listeners spent over $100 million dollars on vinyl records in 2011. That is a 30% increase in both revenue from and unit sales of vinyl in 2010. Big numbers, right? Well, sort of, for vinyl at least, but in this $7 billion industry vinyl does not even account for 2% of total sales. Nevertheless, vinyl sales have been on the rise for the last couple of years and I see no reason for that trend to stop. Aside from posting a decline from 2005 to 2006, vinyl sales have only been on the rise. There was a 36.6% gain in the sale of EPs and LPs in 2007, and vinyl sales doubled in 2008, grew 33% in 2009, 26% in 2010, and over 30% last year. So, why vinyl? I have a theory. another well written article about our beloved vinyl! CONCORD, N.C. -- An Elvis Presley record selling for $1,000 may sound insane, but for John Estes, who owns the Cool and Eclectic store at Concord Mills, it’s not a big surprise. He said the price of vinyl records keeps climbing, and the same person who bought that record also purchased two other Elvis records at $600 a pop. "It does seem like sales are increasing, and we have a diverse collection of hard-to-find albums, so we’re getting a lot of repeat business," Estes said. Estes has about 5,000 records at his store, and he focuses on rare records. He said he’s had customers come in who didn’t even own a record player. "And they went out and bought a record player, and a half hour later they came back and bought $500 or $600 worth of albums," he said. "Maybe 30, 40, 50 albums, and they started their record collection right then." Paul Fischer, also known as "Doc Rock," is a professor with the department of recording industry at Middle Tennessee State University, who said he’s seen the same phenomenon. 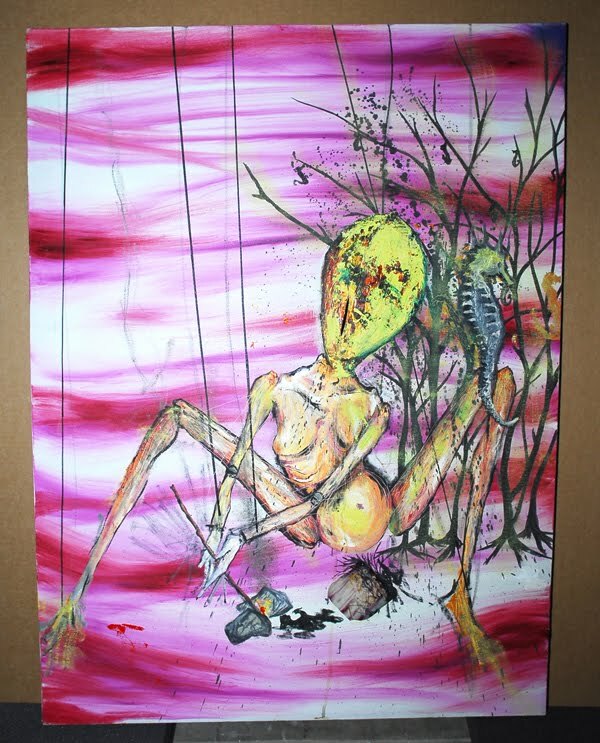 Exactly 18 years after the suicide of Kurt Cobain, The Fix unveils five of his original artworks. A dark look into the mind of a tortured heroin addict, they're also ground zero in a battle between Cobain's widow and his publishing company. 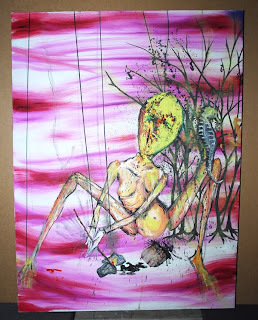 Four never-before-seen paintings and one drawing by Kurt Cobain are the latest notes to a story that began 18 years ago this week, on April 5, 1994, the day the iconic rock star injected heroin for the last time and then blew his head off, leaving the famed Nirvana catalog to his widow Courtney Love and daughter, Frances Bean, and sparking a battle that's lasted almost 20 years. 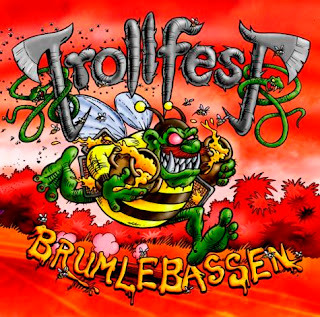 TROLLFEST, the self-proclaimed "true Norwegian Balkan metal" band, has unveiled the artwork for its upcoming album, "Brumlebassen", due in August via NoiseArt Records. 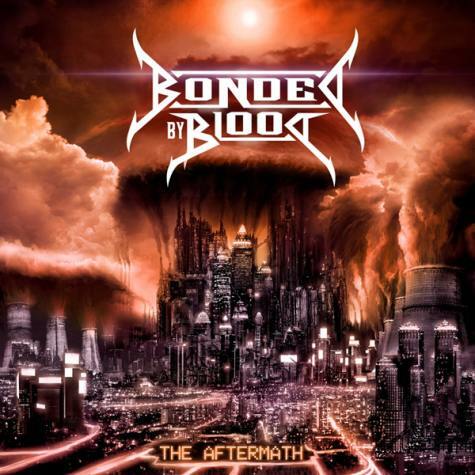 Responsible once again for the amazing images that vividly depict the story of what will be the band's fifth full-length album, is Swedish cartoonist Jonas Darnell, who originally created the iconic metal duck from TROLLFEST's "Villanden" album, and has worked with the band ever since. Terje Johnsen, who has been working on the design side of TROLLFEST's releases since the "Brakebein" album, has once again teamed up with Darnell to produce the finished package. 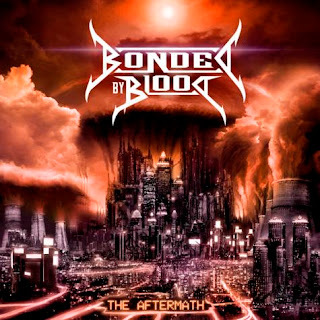 California metallers BONDED BY BLOOD have set "The Aftermath" as the title of their third studio album, due on July3 in North America (one day earlier internationally) via Earache Records. The CD was tracked at at Darth Mader Music in Los Angeles with producer and former MACHINE HEAD/SOULFLY guitarist Logan Mader (DEVILDRIVER, FIVE FINGER DEATH PUNCH). 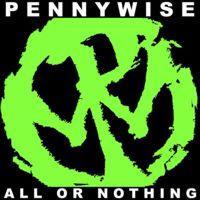 Pennywise – All Or Nothing Vinyl! Pennywise have finally finished their new album, "All Or Nothing" which is available May 1st! Writing with renewed passion and commitment, the legendary Hermosa Beach foursome seamlessly integrate new singer Zoli Teglas into their fearsome sonic assault, playing harder and faster than ever to deliver their best album since 1997's Full Circle. You can pre order your copy now at Shop Radio Cast! The series launches in April with an initial release that combines a pair of historically significant Hendrix recordings from two different 1967 sessions. One is a raucous reading of Bob Dylan’s "Can You Please Crawl Out Your Window?" from BBC Radio’s Rhythm and Blues show, the other a fascinating, newly discovered take of the Hendrix original "Burning of the Midnight Lamp," as performed on BBC-TV’s Top of the Pops. 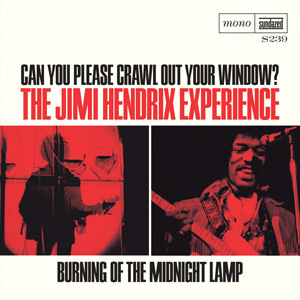 Both sides feature the classic original Jimi Hendrix Experience lineup of Hendrix on guitar and vocals, Noel Redding on bass and Mitch Mitchell on drums, and capture the band just as it was beginning to emerge as a major creative force on both sides of the Atlantic. As with every release in the series, it will feature a color picture sleeve incorporating rare vintage Hendrix photos that capture the legendary artist’s distinctive persona and pioneering spirit. In a recording career that spanned only three and a half years prior to his tragic death in 1970 at the age of 27, Jimi Hendrix revolutionized the role of the electric guitar, and radically altered the face of contemporary music. He became rock’s first guitar superstar with an effortless charisma that matched his visionary talent to an intensely original performing style. In 1956, the CBS Radio Network debuts the first regularly scheduled, nationally broadcast Rock and Roll show, "Rock 'n' Roll Dance Party," with Alan Freed as host. Also in 1956, Little Richard's "Long Tall Sally" reaches the US Pop chart, where it would climb to #6. The record would top the R&B chart and became the first of his three US Top 10 hits. A cover version by Pat Boone appeared on the Pop chart simultaneously and reached #8. In 1958, Capitol Records officially abandons the sale of 78 RPM singles in the UK, choosing to issue all new releases as 45 RPM only. Also in 1958, the Platters released the single "Twilight Time." In 1962, in London, unknown musicians Mick Jagger and Keith Richards met a young guitarist named Brian Jones while attending a performance of Alexis Korner's Blues Incorporated at the Ealing Jazz Club. 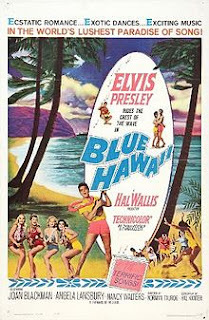 In 1962, Elvis Presley arrived in Hawaii to begin shooting his next feature film, "Blue Hawaii," and was mobbed by more than a thousand fans at his hotel. During his hasty getaway, he lost several pieces of jewelry. In 1962, eighteen year old Shelly Fabares, who was currently appearing as Mary Stone on TV's The Donna Reed Show, had the number one song in the US with "Johnny Angel", a #41 hit in the UK. She was accompanied by Glen Campbell on guitar, Hal Blaine on drums and Darlene Love And The Blossoms on backup vocals. Her highest charting follow-up would be "Johnny Loves Me", which peaked at #21 on the Billboard chart. In 1966, at EMI's Abbey Road studios in London, the Beatles recorded overdubs for John Lennon's "Tomorrow Never Knows" and began recording Paul McCartney's "Got to Get You Into My Life" for their forthcoming 'Revolver' album. In 1967, paving the way for what would become an FM radio format, San Francisco's KMPX-FM begins playing Rock 'n' Roll album cuts instead of 45 RPM singles. In 1973, Diana Ross started a two-week run at the top of the US album chart with "Lady Sings The Blues." In 1975, guitarist Ritchie Blackmore departed Deep Purple to form the group Rainbow. He was replaced in Deep Purple by Tommy Bolin. In 1979, "Music Box Dancer", an instrumental by Canadian pianist Frank Mills became the number-one single in the US, the first instrumental in several years to reach the top of the charts. In Mills' home country, the record only made it to #47. In 1979, 24 year old Rickie Lee Jones performs her upcoming single "Chuck E's In Love" on Saturday Night Live. The song would rise to #4 on the Billboard chart and help bring Jones a Grammy Award for Best New Artist. In 1981, the Who's former manager Kit Lambert died after falling down a flight of stairs in his mother's home in London, England. Along with his partner, Chris Stamp, Lambert guided The Who from 1964 through 1967 and produced many of their albums including 'The Who Sell Out' and 'Tommy.' He also produced Arthur Brown's 1968 hit "Fire." In 1985, Wham! becomes the first western Rock group to play live in China. 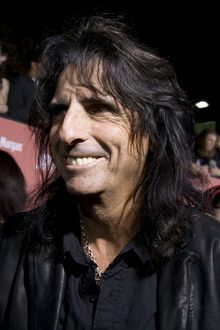 In 1988, Alice Cooper nearly hanged himself while rehearsing his act when a safety rope broke and left him swinging by his neck. He was promptly rescued by a quick thinking roadie. In 1990, the Carpenters' LP 'Only Yesterday' rose to the top of the UK album chart for a two week stay. It would climb back to #1 at the end of April for a further five weeks. Also in 1990, at Farm Aid IV in Indianapolis, performers included Bonnie Raitt, Carl Perkins, Garth Brooks, Bill Monroe, Alan Jackson, Asleep At The Wheel, Arlo Guthrie, John Hiatt, and John Denver. Elton John performed "Candle in the Wind" for Ryan White. White, a young boy with AIDS, died later that day. Elton will act as a pallbearer at his funeral four days later. In 1998, singer George Michael is arrested in a public restroom in Beverly Hills for lewd conduct. He acknowledged his homosexuality on CNN a few days later and was sentenced to community service for the incident. In 2000, Heinz Burt, the bassist for The Tornadoes, died at the age of 57 after a long battle with motor neuron disease. The group's biggest hit was the 1962 instrumental "Telstar". In 2001, Paul McCartney bought the 1930s Beverly Hills home of Courtney Love for $3.995 million. The gated four-bedroom house is on 1.5 acres of land and has its own swimming pool. In 2006, an internet fan site broke the news that Love front man Arthur Lee was battling acute lymphoblastic leukemia. He would succumb to the disease on August 3rd. In 2008, 66 year old Bob Dylan received an honorary Pulitzer Prize for his "profound impact on popular music and American culture, marked by lyrical compositions of extraordinary poetic power."